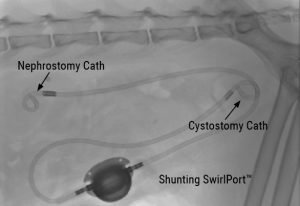 The Subcutaneous Ureteral Bypass (SUB™) device is a unique system designed for use in veterinary patients; dogs and cats. 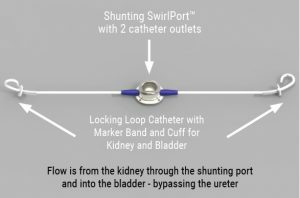 The device consists of two (2) locking loop pigtail catheters; one is placed in the kidney and one is placed in the bladder, and a titanium Shunting SwirlPort™. 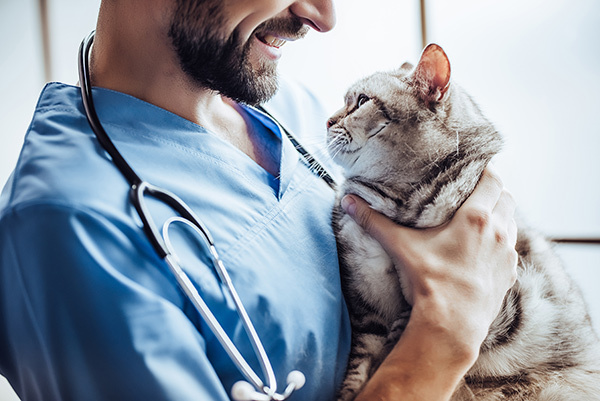 The SUB™ is packaged as a sterile kit, complete with several components (listed below) and instructions for use for your convenience.